US equity indexes closed broadly higher, sp +21pts at 2440. The two leaders - Trans/R2K, settled higher by 1.4% and 1.5% respectively. 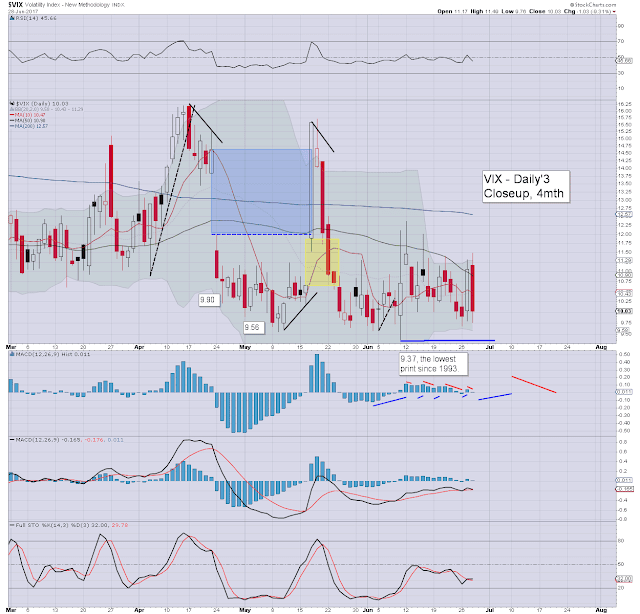 VIX settled -9.3% at 10.03. 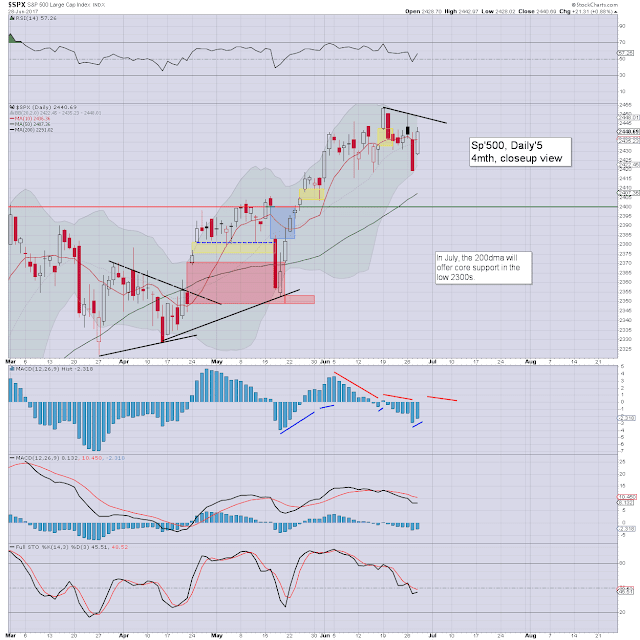 Near term outlook offers another wave lower, at least to partly fill the gap zone of 2428/19. Many stocks - such as AAPL, are still highly suggestive of more significant downside to 2400/2390s. US equities opened moderately higher, and built rather strong gains into the early afternoon. I recognise that some won't be calling today a bounce, and will instead now be seeking a straight run to new historic highs into early July. Its notable that the R2K did come very close to breaking a new historic high today. 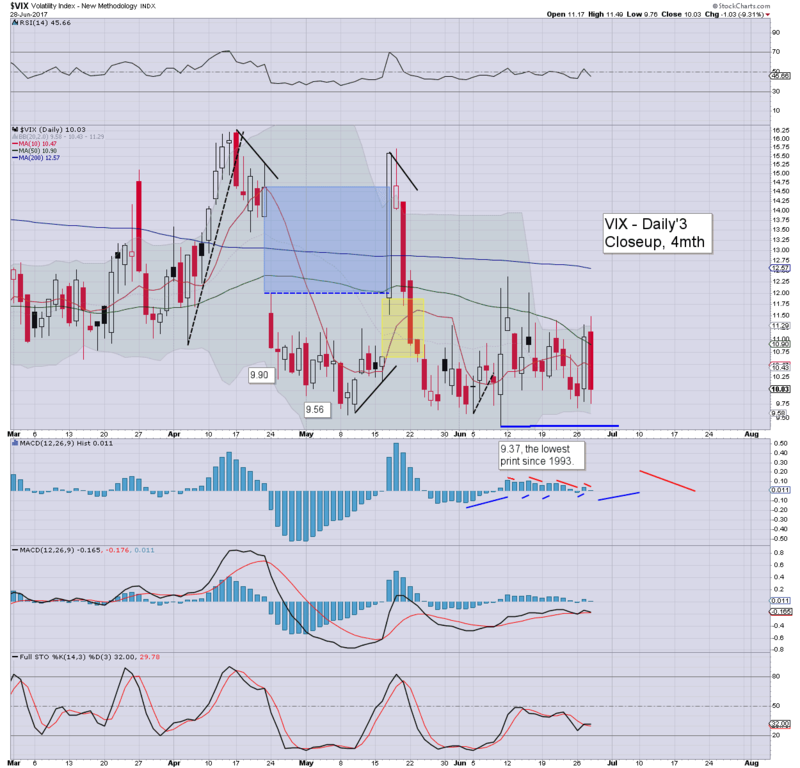 With equities on the rise, market volatilty was crushed, with the VIX falling back into the 9s (intra low 9.76), but settling in the 10s.